Welcome to our 11th edition of meet the Contrado artists series. We continue to be astonished at the diversity and talent we come across. 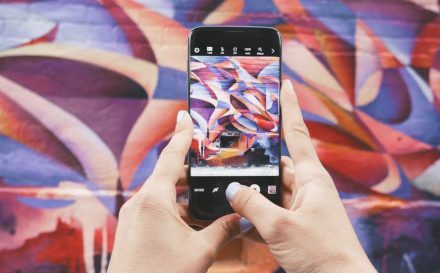 You may remember that in our last edition of Meet the Artists, we looked at artists with graffiti creations and zen ruminations. 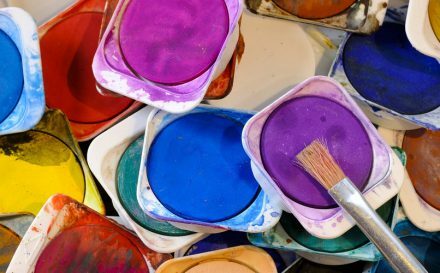 This time we are going to take a look at artists who use fine art, or paint their designs. We put Contrado Creatives into action last year, and it has done nothing but flourish since. 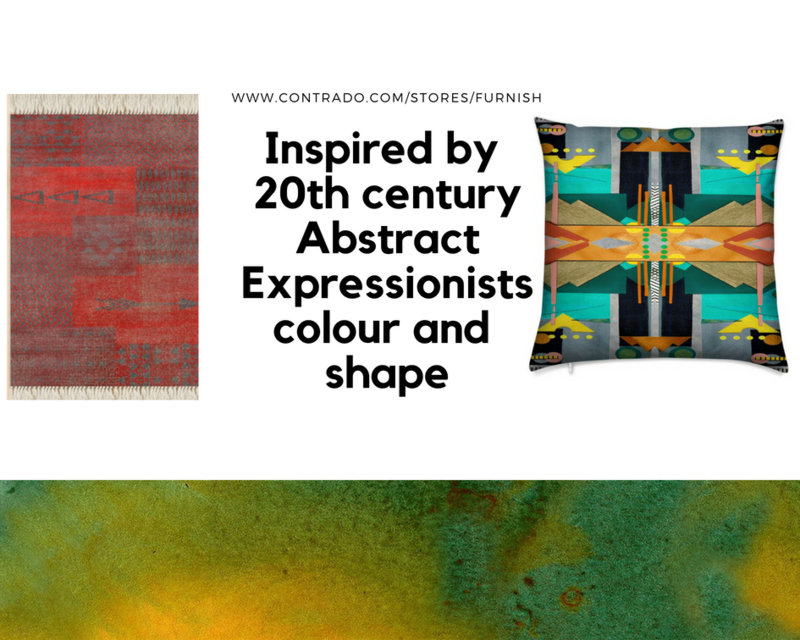 Each amazing artist brings so much creativity and colour to Contrado in their own unique way. Since the beginning, our mission has been to provide a place that was set up for artists, designers and creatives to express themselves. With our marketplace, we have done so much more than that. We have given them the opportunity to get a return from all their hard work too. 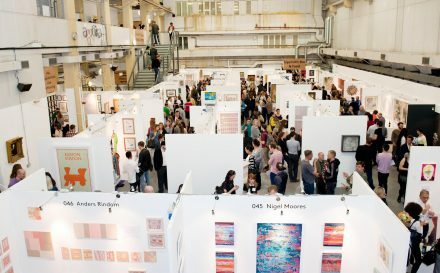 The artists upload their own art, choose the products that they would like to sell, and add these to the store. They can then change the positioning and size of their artwork. They can edit the design and make sure they are 100% happy with every item before it gets added to their store. We then use eco-friendly inks, and a permanent printing method to hand make your orders. Everything is make in the UK with no poor factory conditions and absolutely no unfair labour. Most importantly, the artists get paid for their original work. From London to Berlin; Holly Jade O’Leary grew up in a community in a Manor house without a TV. This naturally inspired an organic expression of creativity within her. This creativity took many forms, which she tempered by studying management and economics. Between 2007 and 2013 she worked as a Head Stylist at a cult boutique, before working as a freelance artist and art director. I imagine sculptures coming alive, watching the sun and natural elements fall across glistening figurines, creating characters within multidisciplinary forms, often with a combined approach which also includes theatre, poetry, writing and performance, and textile couture. Holly begins her designs by considering movements through space. She contemplates how the garment will flow with the body or how it makes neutral tones pop. She chooses which palette she would like to work with, what flowers to use, and then sketches her designs. Gaining inspiration from sculptures she’s drawn to walking through a city or visiting a museum or gallery. She hopes her botanically themed designs will encourage people to follow a plant-based diet. Once sketched, she defines the elements she has created and composes a background often using metallic inks. Stylish eco-chic. 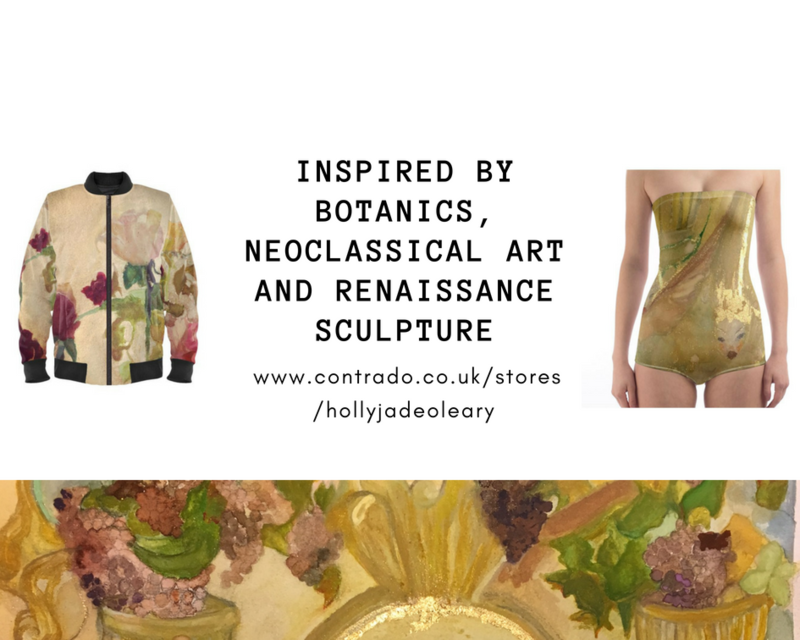 Rococo angels, neoclassical fantasy art and ‘The Beauty of Nature’ botanicals by London-Berlin based vegan artist and singer. From drawing and doodling through to designing. Amaya has been a keen creator since a young age and could immediately tell that it was an interest that would be with her for life. A few years ago, she decided it was time to get her foot through the door of the artistic world. I draw from all facets of life from things I love to things that I really connect with. I work with watercolours, so I really let that medium tell me what one piece should be. You can see this throughout her art; every piece looks like it couldn’t ever have been anything different. Amaya gets most of her ideas for her art when she is climbing. She evolves these ideas on the paper. using watercolours to express herself and develop the concept. Once she is happy with this she will finally move her work into Photoshop. Here she can play around with its presentation. Only then, once she is completely happy with the execution, is her design finished. 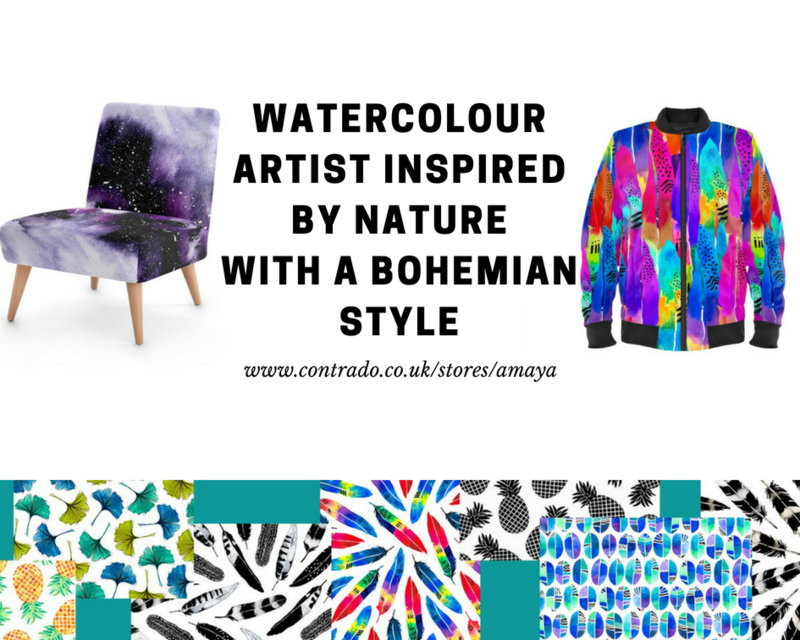 Amaya is a watercolour artist creating patterns with bold colours and pieces with a bohemian flare. A natural with creative languages. Keren Toledano has been designing patterns for around two years. 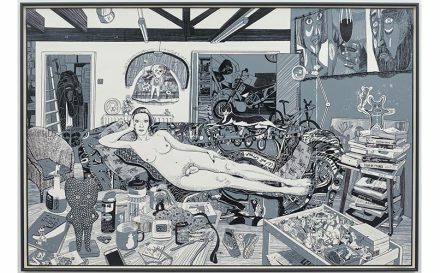 However, has been an artist for as long as she can remember. 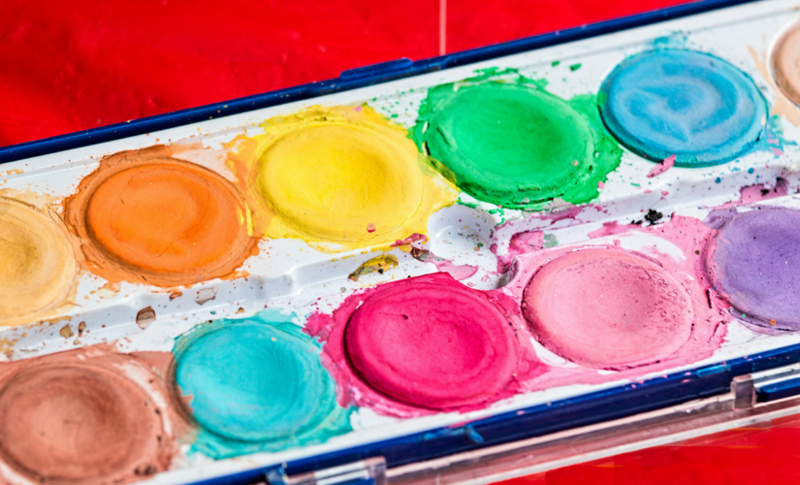 Originally a writer, she expanded to painting and collage making when writer’s block hit her. She decided that this way, she’d have another form of creative expression when she couldn’t find the words. She frequently moves between the written word and painting. I strive to find order in seeming chaos, so while my works use vibrant colour schemes and often erratic movement, they are all formed by an urge to seek balance in clean composition. As a painter and collage artist, Keren finds creation within these realms intuitive. She picks a colour scheme and a surface first. Favouring paper and canvas, she then gets to work. Rather than planning the entire concept in her mind, she allows each move to direct the next. Allowing this to dictate which direction the piece flows in. She chooses which works would suit becoming patterns before making a pot of coffee. Once ready she moves over to Photoshop and begins the final manipulation. Keren Toledano is a New York City based painter. This shop offers a couture line of custom velvet pillows derived from her original designs. Rocco Fiumara started designing around ten years ago. Even as a child, and throughout his life, he has been in love with both drawing and painting. Rocco loves to combine shapes and colours to create feelings and reflect your mood. I think of a young audience, who wants to stand out by wearing an original piece close to art. Rocco always starts his work with a casual shape. He then slowly develops that into a complex design. After this he will add the colours to his piece. He continues to modify, adapt and change the colours until he feels a compositional balance in his work. A shop like a contemporary art gallery. Unique fashion models creating a collection full of bright and vibrant colours. Flossie Imogen Lockwood has been designing with us for just under a year. She has been designing in her mind for many years before that. Flossie’s work was so eye-catching that she was approached by one of our team. Way too many sources to choose from, I wouldn’t even be able to pick my top 5…or 10. Easily inspired! 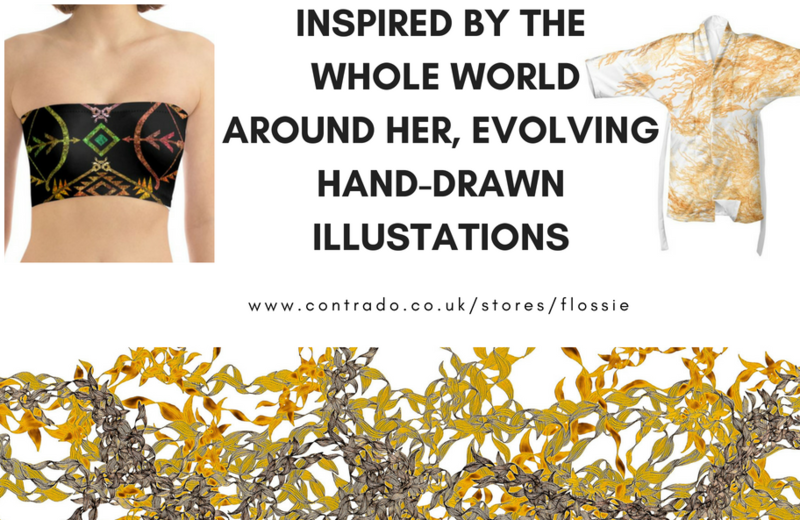 Flossie grows and mutates the lines in her drawings. Showing something significant in the linear configuration. Over time these tracings crystallise, creating their own harmony and rhythm. This makes each piece of Flossie’s work possess a specific enigmatic quality. Original hand-drawn illustrations playfully blending sinuous curves & geometric contours. 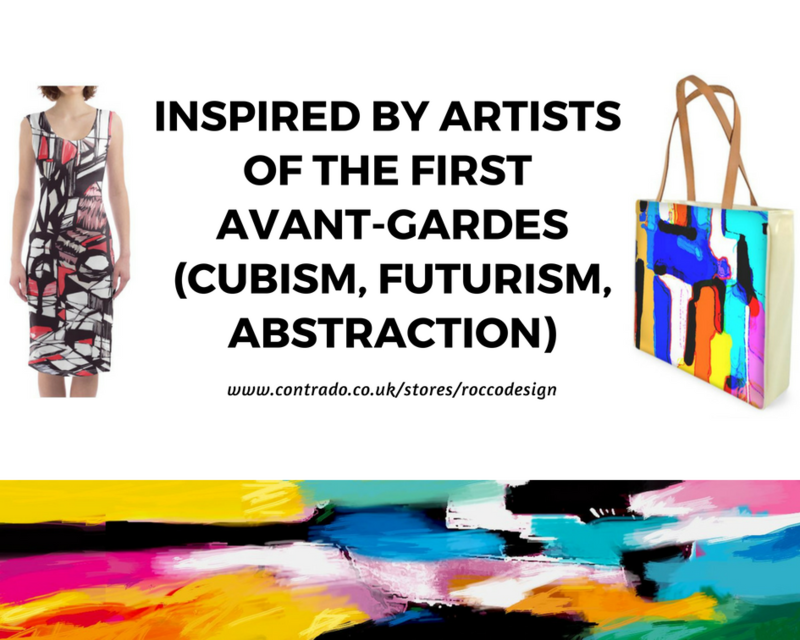 We have a number of other artists and designers that have joined the #ContradoCreatives over the last year or so, and you can browse them all. Take a look and let us know what you think. As always we are constantly on the lookout for new talent. If you fancy becoming one yourself, then get in touch. We’d love to hear from you. Thanks so much for including me (Keren Toledano of Furnish NY) in your post! It’s such a pleasure working with you guys. Your quality is spectacular and I’ve received nothing but glowing comments on the craftsmanship of your pillows. thanks for including me in your post! Your quality is spectacular and I’ve received no end of glowing comments on your pillows. A special shoutout to your amazing copywriter for making me sound, ahem, totally awesome! I really hope that this partnership between artists and Contrado will continue and grow bigger and better and better!